Spring Fling Buddy Discount: 15% off any tour or multi day workshop (excludes Photo Walks) when you sign up with a buddy. Use code Buddy15. Discount expires June 1. 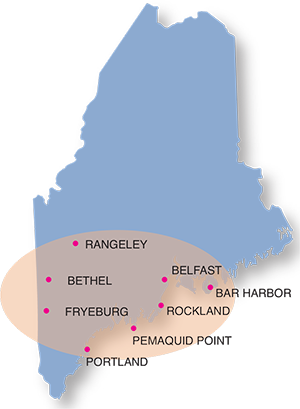 Join us for an educational travel experience and let us take you to some of the most spectacular locations on the Maine coast, and beyond. Come explore the culture, history, and landscape of Maine while expanding your photography skills. Both sea and land excursions are open to any skill level of photographer and any camera type, smart phones and tablets included. 7-day fall foliage photo workshop in western Maine in October includes waterfalls & covered bridges. More in-depth info → ‘about; photo tours’. We are so proud to announce that we have been included in the 10 Best Guided Tours of Maine. Click on that link to check it out, and the other 9, as well. Thank you Best Things Maine. Also, we have been recommended in the 2018 winter issue of the travel magazine, Opal. We are very grateful for both!!! INDIVIDUAL TOUR DETAILS & DATES – choose your tour in the `Tours’ drop-down menu above ↑. CALENDAR OF ALL TOURS – next area down⇣. CALENDAR FOR ONE SPECIFIC TOUR – scroll a bit further down ↓ . Also has short discription. We look forward to seeing you behind the camera. Join us! Dee was helpful and pleasant. It was a fun day.